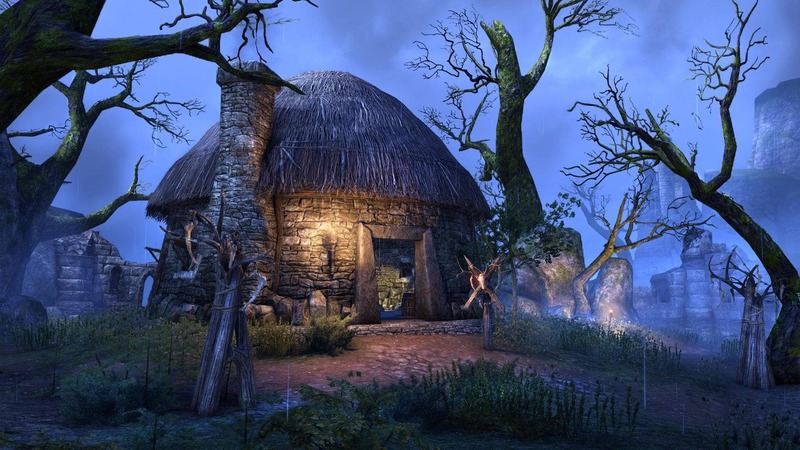 The grim spectacle of the Witches Festival has once again returned to haunt the people of Tamriel. Take part in this chilling celebration to earn bonus XP and unique rewards. It’s also your first opportunity to earn Event Tickets and Indrik Feathers – don’t miss out! The Witches Festival kicks off at 3:00PM BST on Thursday, October 18 and will run until 2:00PM GMT, Thursday, November 1. During this spoopy event, you can enjoy a 100% XP buff, become an undead monster, and acquire a creepy collection of Witches Festival-themed items. In addition to this, we’re also introducing the brand-new Dremora Plunder Skulls, containing a never-before-seen Motif! Navigate to the Holiday section of the Crown Store to acquire the “Crow Caller" item. Complete the quest “The Witchmother's Bargain" to receive the “Witchmother's Whistle" memento. If you completed the quest in previous events, you don’t need to acquire the Crow Caller or complete the quest again, and you can use the whistle already found in your Collections menu. Use the whistle to summon the “Witchmother's Cauldron" and grant you and your party a two-hour 100% XP buff that stacks with all other XP bonuses. Use the Witchmother's Cauldron to transform your character into one of the undead. Don't worry—this isn't permanent! Note that you do not have to use the Witchmother's Cauldron in order to gain the XP buff. Conjure up some trouble during the Witches Festival! Should you take part in this year’s festivities, you can earn some amazing Witches Festival-themed loot, and throughout the event, all boss monsters will drop Plunder Skull containers. Note that you don’t need to have the XP buff or polymorph active to acquire these unique rewards, but it can’t hurt! …and an assortment of creepy items! In addition to regular Plunder Skulls, during the event, you can also acquire the brand-new Dremora Plunder Skulls. These devilish new rewards will be the first Plunder Skull drop you receive for each type of boss each day. A Dremora Plunder Skull contains all the same items found in a regular Plunder Skull, but it is also guaranteed to have a new Dremora Motif page based on the type of boss you defeated. You can defeat each individual type of boss and be guaranteed a Dremora Plunder Skull once per day, meaning you can acquire up to seven each day. Should you defeat the same type of boss again after already receiving your Dremora Plunder Skull, you’ll receive a regular Plunder Skull instead. 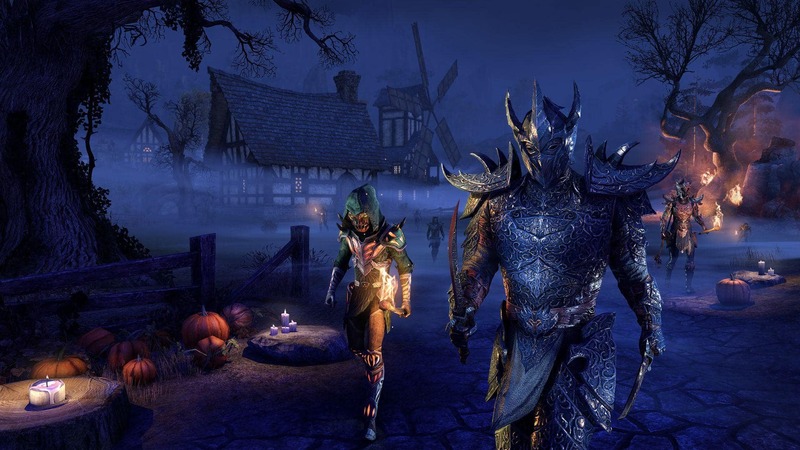 Dremora Motif pages can be traded, so get ready to take on Tamriel’s monsters! The Witches Festival is also your first opportunity to acquire Event Tickets! As detailed in our announcement article, you can acquire one Event Ticket per day when you acquire your first Dremora Plunder Skull. Pick up 10 tickets and bring them to The Impresario (located in Daggerfall, Davon's Watch, and Vulkhel Guard) to purchase your first Indrik Feather. 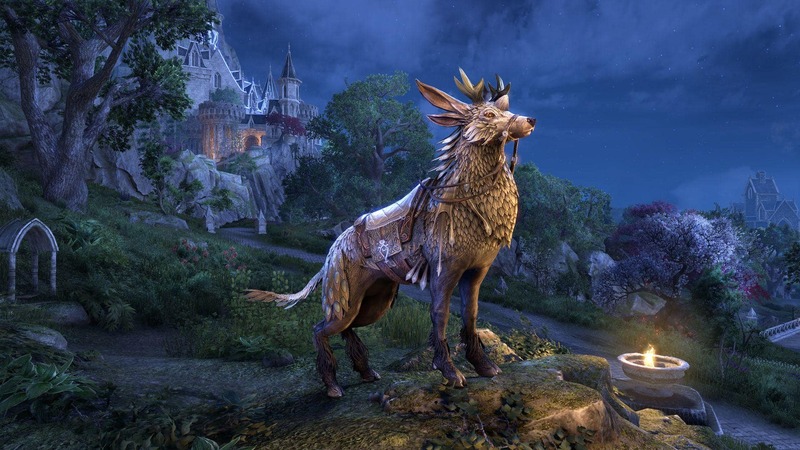 Earn Event Tickets to unlock the Nascent Indrik mount! Once you’ve acquired your Indrik Feather for the Witches Festival event, you can keep on earning Event Tickets to get a head start on the next one. Get all four unique feathers, and you’ll be able to summon the new mount! 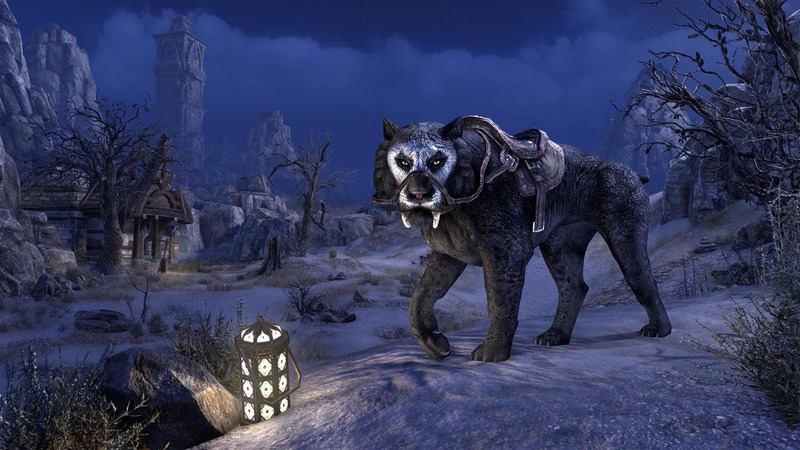 Leading up to and during the event, you can find some ghastly items returning to the in-game Crown Store, this includes the Death Mask Sabre Cat mount and the Sinister Hollowjack Items furnishing pack. There’s a horde of new and returning Hollowjack-themed items coming to the Crown Store this month, so be sure to check out our Crown Store Showcase to preview it all. You can find the details for this Achievement in your in-game Journal under the Holiday section of your Achievements menu. Don’t worry, if you’ve already picked up the prerequisite Achievements, you don’t need to get them again. This home is ONLY available during the Witches Event period, so don’t miss out! Celebrate all things ghastly and grim during the upcoming Witches Festival to unlock all-new rewards, Event Tickets, and a nice bonus to XP gains. Have you already made your preparations for this petrifying event? Let us know if you’re excited to celebrate the most frightening time on the Tamrielic calendar via Twitter @TESOnline and Facebook. 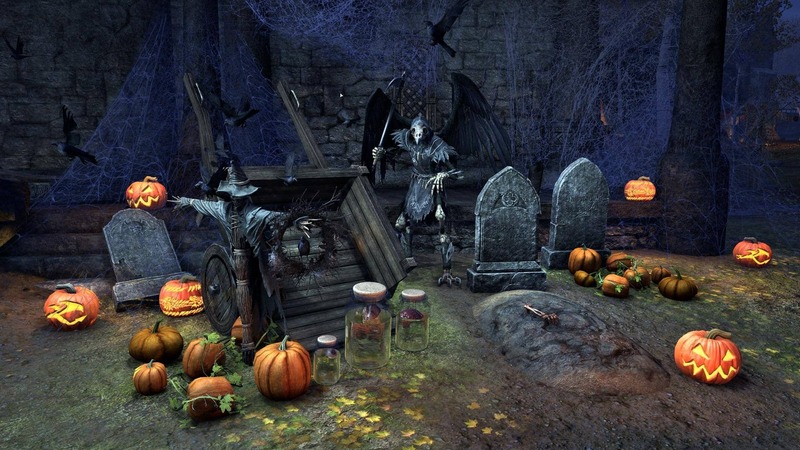 The Witches Festival begins on Thursday, October 18 at 3:00PM BST and will end on Thursday, November 1 at 2:00PM GMT. Have fun! Dragons Are Unleashed on The Elder Scrolls’ 25th Anniversary & You Can Play Free! Revel in the Ridiculous with the Return of the Jester’s Festival Event!